Fact about Rin-Tin-Tin: Rin-Tin-Tin (September 1918 – August 10, 1932) came into had America with the an American soldier, Lee Duncan. Duncan discovered Rinty (as he was lovingly called by his owner) in the debris of a bombed German dog kennel, while returning back from the battlefield. 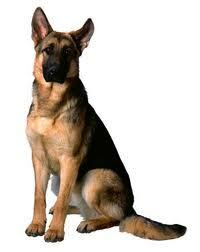 Death of Rin-Tin-Tin: Rinty died on August 10, 1932 when he was 14 years old. He expired in Los Angeles in the arms of Jean Harlow Carpenter - American movie actress. After his death Rinty was taken to his birth land - Lorraine, France for his burial in the Cimetière des Chiens, the famous pet cemetery in the Parisian suburb of Asnières-sur-Seine.